Item # 276041 Stash Points: 999 (?) This is the number of points you get in The Zumiez Stash for purchasing this item. Stash points are redeemable for exclusive rewards only available to Zumiez Stash members. To redeem your points check out the rewards catalog on thestash.zumiez.com. Sleek, simple, and draped in a solid colorway, the Flat Top Black and Revo Sunglasses are a great accessory for any daily outfit. 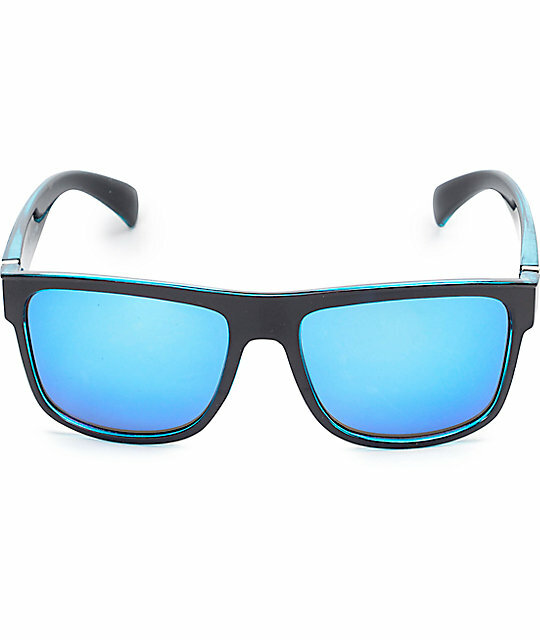 The glasses have a durable black plastic frame and a 100% UVA/UVB protection blue tinted polycarbonate lenses, keeping you safe in the sunshine. 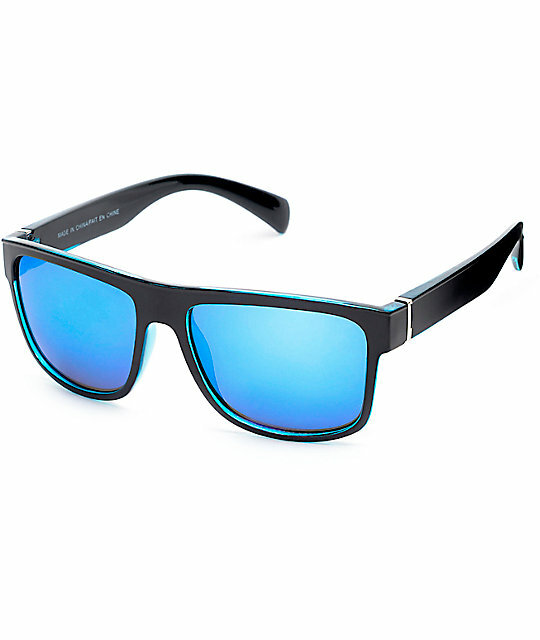 Flat Top Black and Blue Revo Sunglasses.